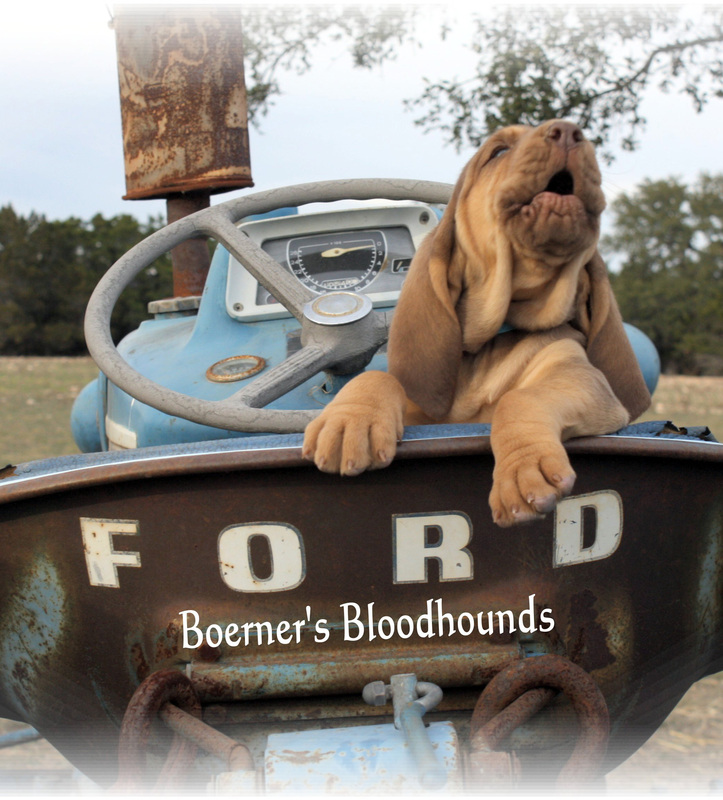 Boerner’s Bloodhounds is located in Sisterdale, Texas, just 45 miles North West of San Antonio, in the beautiful Hill Country. We have been training and breeding these wonderful hounds since 2000. Our litters have consisted of black & tans, liver & tans, reds, and light skinned reds. Each bloodhound puppy is AKC registered and Porcelaine puppy is UKC registered, vet checked, microchipped, receives first set of shots, is dewormed and comes with a 1 year health guarantee. 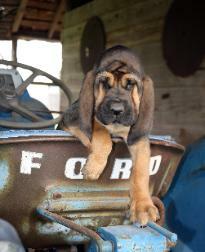 Our Bloodhound puppies have gone to loving homes as companions, to be shown in competition, trained as therapy dogs, to ranches to be trained for blood trailing, Law Enforcement agencies, and to Search and Rescue homes. We do NOT sell to pet brokers or pet stores. All of our puppies receive a lot of affection and love – so all have a wonderful disposition for their new families. 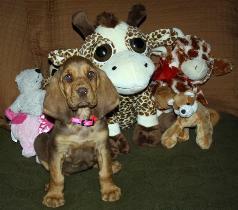 Puppies are all evaluated to see which would be best suited for family/companion pets or for working. We definitely want both pup and family happy. Placing a high drive pup in a normal family home will only make everyone miserable. So evaluating and making recommendations based on what each family is looking for is so very important. We also work with pups to help desensitize against most noises that can upset or scare them. Puppies are also introduced to different things and different surfaces to help them be more confident when walking on different surfaces. We have a little obstacle course which also helps them learn to use their back legs to go up and down stairs, through tunnels and even down a slide. This is all very helpful for those wanting a working dog, but also very helpful even for our family/companion pups. When able, we also take in rescued bloodhounds or bloodhounds that cannot be cared for any longer and place them in good homes. 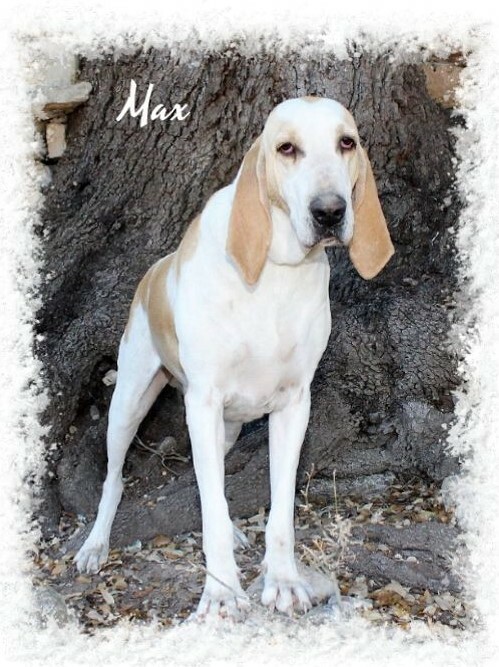 If we do not have the room, then we are still more than happy to help place the bloodhound in need by posting and contacting those on our adult waiting list after screening the bloodhound and the potential adopting family. 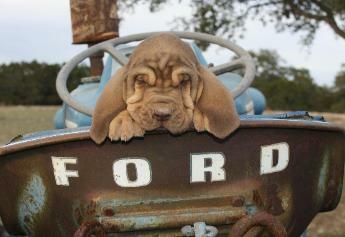 We do work with some of our own Bloodhounds and Porcelaines for in Search and Rescue and for trailing wounded deer. Is the bloodhound right for you? 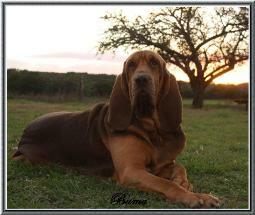 The bloodhound is a scent hound of great size and strength with a noble, dignified expression. He has superabundant, loose skin, which falls into loose, pendulous folds especially noticeable around the head and neck. The name Porcelaine refers to its shining coat, which makes it look like a Porcelaine statuette. During its heyday in the 1700s, the Porcelaine was considerably larger than the modern breed of today. It is a very distinguished-looking dog with a finely chiseled head, a black nose with wide-open nostrils, and a flat forehead. Its eyes are dark with a sweet expression.